Pastor Maldonado will be joining Lotus for the 2014 where he will partner Romain Grosjean. Replacing Kimi Raikkonen, who will race for Ferrari next season, will be difficult for the Venezuelan driver who has won once in his Formula One career. Having only captured one point in 2013, Maldonado can count the 2013 season as his worst since he entered F1 in 2011. The 2012 season looked like a breakout season for him as he took 45 points and won the Spanish Grand Prix from pole position, but this year’s been one of frustration and disappointment that could well have pushed his career backwards. The opportunity at Lotus could give Maldonado his best chance to return to the top of the podium, but in truth his speed isn’t why Lotus is hiring him for 2014. An investment deal with the Middle-Eastern consortium Quantum hasn’t materialised so Lotus need the cash injection that Maldonado brings. 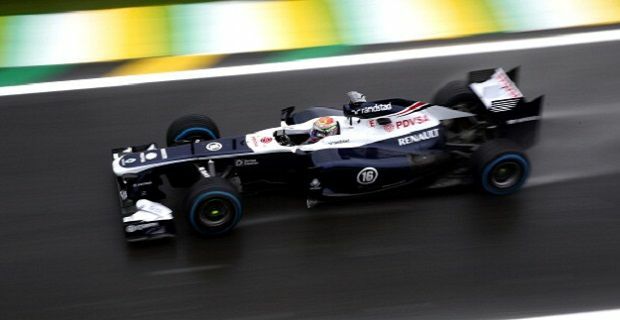 According to rumours, the team’s first choice for the second seat was Nico Hulkenberg, but as his backing is very limited, the British constructor has opted for Maldonado who comes with funding from Venezuelan state oil company PDVSA. Since 2011, Williams received £30million per season from the oil firm, so they will be in need of new backers if they hope to return to winning ways next season when Felipe Massa joins the team from Ferrari. When the news was announced the 32-year old Brazilian said: “I'm glad to be signing with another icon of the sport.” After 8 seasons and 11 wins with the Scuderia, Massa will join the Oxfordshire-based team to add experience to their driver line-up that will also contain Finnish driver Valtteri Bottas. Other drivers on the move for 2014 include Nico Hulkenberg who moves to Force India where he will join former McLaren driver Sergio Perez. These moves leave Scotland’s Paul Di Resta without a seat, so he’s taking a look at the US-based IndyCar scene where he could follow in the footsteps of his cousin, triple Indy 500 winner Dario Franchitti who announced his retirement at the end of the 2013 season.